Glyn Dewis, a professional portrait and Photoshop trainer, gave two interesting talks to our members, the last one a couple of years ago. 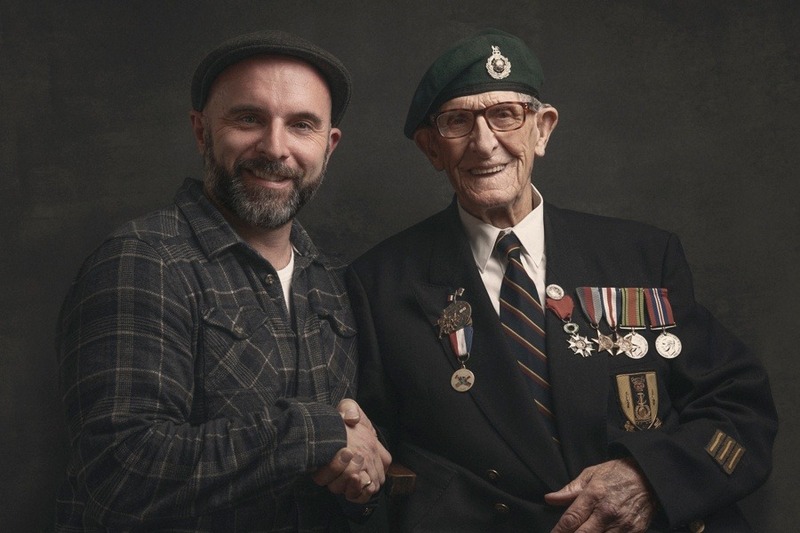 Recently he has been working on a World War II series and among many others, met and photographed Ted Owens, 95 years old, D Day Veteran, 41 Commando hero. Story here. Later he learned from Ted’s friend that Ted is struggling a little to afford some basics. So, unbeknown to Ted, Glyn emailed his subscribers for a small donation to help Ted out. In exchange Glyn has offered a free download of his complete Home Guard (2016) with 12 Photoshop video tutorials. Hoping to raise £2,500 Glyn passed the £8,000 mark after just two days and it is still climbing. Now it is hoped, with the 75th Anniversary of D Day approaching this year, excess funds raised could be used to take Ted over to Normandy, France and Holland to revisit places that hold a place in his heart and for him to say farewell to friends who fought alongside him but sadly paid the ultimate price. If you would like to take advantage of Glyn’s generous download offer and also help Ted please go to https://www.gofundme.com/help-ted-owens and click the UPDATES tab for the download links. Whilst this is only helping one man, the publicity will surely raise awareness and, by association, help others in a similar situation.